Curious about what has arguably become one of the world’s most talked-about plants? 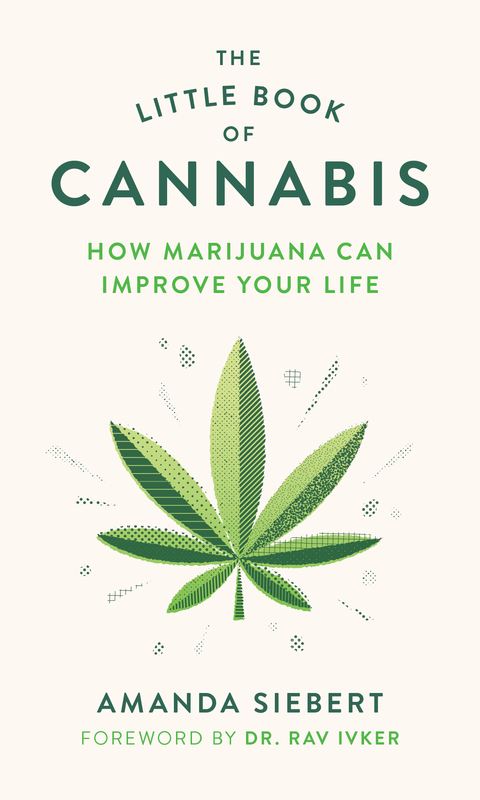 Publisher Greystone Books has compiled this fun and informative fact sheet for readers ahead of the book’s publication date, which, in case you’ve forgotten, is October 17, the same day cannabis will be legalized across Canada. My favourite factoid? That despite the stigma associated with cannabis and those who choose to use it, the last century of prohibition is really the aberration: cannabis has been used for thousands of years for many of the same reasons it’s used today. Misinformation and propaganda have been used to try to interrupt that relationship, but I’m confident that with the right education, humanity will begin to form a new understanding and appreciation for cannabis, and it’s potential to truly improve one’s life. Most countries outlaw it completely, but some more progressive nations have made steps towards legalization by regulating its medical use, and decriminalizing possession in small amounts. California became the first state to legalize marijuana for medicinal use by people with severe or chronic illnesses in 1996. Canada will soon be the second nation worldwide to legalize and regulate cannabis at a federal level. Though still illegal in the eyes of the White House, several states in the US have legalized the recreational and/or medical use of cannabis, including California, Colorado, Washington, and Oregon. Who uses cannabis, and where is it most popular? According to the United Nations’ 2017 World Drug Report, the number of people around the world that use cannabis could be as high as 238 million, making it the most widely used drug in the world. The same report found that cannabis is cultivated in 135 countries around the world, covering 92 percent of the global population. The region with the highest number of users is North America (40 million), followed by Central and West Africa (32 million), with Europe coming in third (23 million). When did people start using cannabis? Although stigma has led most to believe that cannabis has been illegal for far longer than our lifetimes, the prohibition of cannabis began less than 100 years ago. Before that, it was used widely and was prescribed for everything from allergies to aches and pains and more. With its origins in Asia, cannabis has been used for both religious and medicinal purposes in various cultures around the world for centuries. Chinese Emperor Shen Nung is thought to be the founding father of herbal medicine, and wrote about the use of cannabis as early as 4,500 years ago. Though “smoking weed” might be the most common way to consume, even smoking can happen in a myriad of different ways. While some smokers prefer to roll their cannabis into joints, it can also be smoked in a pipe, or similar glass contraption like a bong or a bubbler. Medical users are often advised by their doctors not to smoke cannabis but to vaporize it. “Vaping” cannabis involves heating it, but not burning it, saving both the flavour and your lungs from the high temperatures involved with smoking. Certain types of concentrated cannabis (such as shatter, hash, bubble wax, and rosin) can be “dabbed” and inhaled using a hot nail and some special tools. Dabbing certainly isn’t for beginners, as cannabis concentrates can range from 50 to 90 percent THC depending on the way they are manufactured. The most commonly discussed compounds in cannabis and the ones thought to be the most medically effective are THC (tetrahydrocannabinol) and CBD (cannabidiol). Some compounds in cannabis are biphasic, meaning depending on their dose, they can have different effects: A little bit of THC might be enough to cause someone to relax, but too much THC and someone could experience feelings of anxiety. Fun fact: At the advice of her physician, Sir J. Russell Reynolds, Queen Victoria used cannabis to help alleviate her menstrual cramps.